In this course, Babaji Satyanarayana Dasa and Jaya Devi will explain the true meaning of the feminine nature and its role according to Indian scriptures. This course is beneficial for both men and women to understand their inner feminine spiritual nature, which is the real beauty. An opportunity for women devotees to meet for lunch prasad, open discussions, question and answer session on Feminine Spirituality, kirtan. Venue: Jiva Institute Dining Hall at 1 pm. Our Spiritual Well-being Weekends are based upon the principles of Ayurveda, Yoga and other natural ways of living. A warm and welcoming atmosphere along with spiritual activities will help you connect with your emotions and establish your daily routine to alleviate challenging moments. Our meals enhance mental well-being and support a sattvic lifestyle. Optional treatments offered at Jiva Institute are available to complement your overall well-being and provide you with additional insight. Vaishnavi Sangha started on 9th December 2018. The aim of the sangha is to have a better understanding of what Feminine Spirituality actually means and to have an opportunity to ask questions and clarify doubts. Here is a short summary of what we discussed up to now. Every woman is most welcome to join! 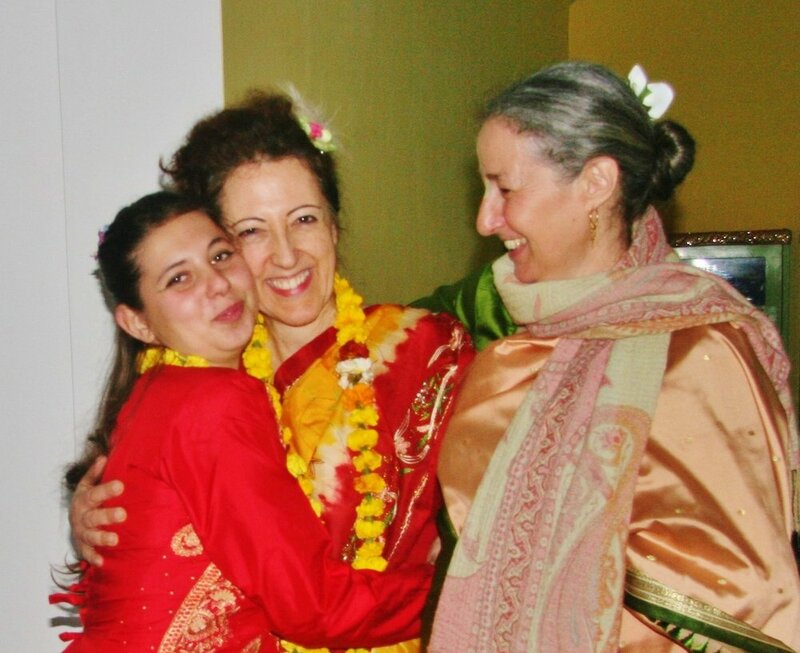 On Sunday 25th November, the Center for Feminine Spirituality at the Jiva Institute, Vrindavan, was inaugurated and the website www.yourfemininespirituality.org was uploaded online. After a ceremony to invoke auspiciousness for the activities of the Center for Feminine Spirituality, the Administration Team started their seva with a seminar on “The Five Wishes” that was monitored by Joshika Richmond. It is important for all of us, regardless of age or health, to have a plan that documents our health care wishes in case we become unable to make important treatment decisions, or communicate our choices. In this interactive workshop the participants discussed and filled out their own personal ‘Five Wishes’ document. Sadhvi Ritambhara Didi Maa invited Jaya Devi at her Ashram Vatsalyagram. They discussed topics regarding the importance of women as the foundation of society. At the International Conference organized by Madhya Bharatiya Hindi Sahitya Sabha in Gwalior Jaya Devi explained in her lecture why it is important for Indian children in Hindi speaking states to learn their mother tongue Hindi. 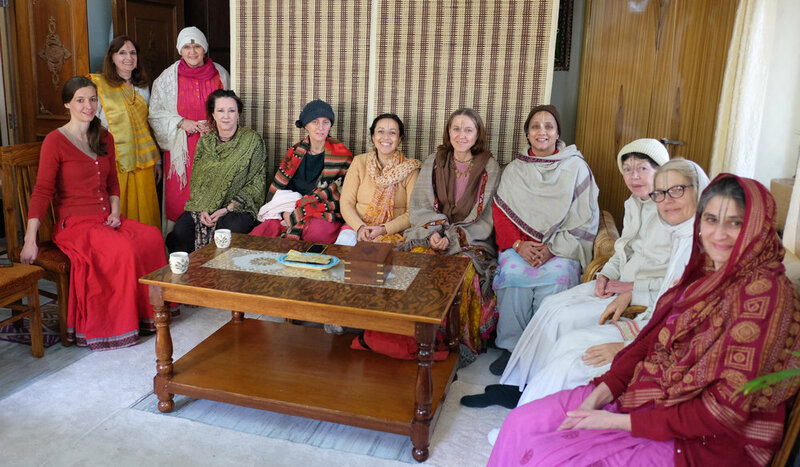 In February 2017, Master Hashiyoki and her assistants from Siberia visited the Jiva Institute in Vrindavan to give a seminar on the Theogony of Sound. They invited Jaya Devi to Siberia to share her knowledge on feminine spirituality. 250 people attended the seminar on ‘Spirituality for Women’. Jaya Devi was invited twice to Poland. She gave a seminar about her book From Taj to Vraj in Warschau at the Ayurveda center Aatma. She also gave seminars at the Ranch in Bobolin where she spoke on ‘Women, Love and Spirituality’. Jaya Devi gave five lectures based on her book From Taj to Vraj at Vilnius university. She discussed different topics such as the different types of women, women and love, women and freedom. More than 50 people attended the seminar. During her workshops Jaya Devi spoke on the importance of the feminine nature, especially in the pursuit of devotion to the Divine. She discussed different topics described in her book From Taj to Vraj. Subjects included Different Types of Women, Various Types of Love, Women and Freedom, Women and Spirituality.